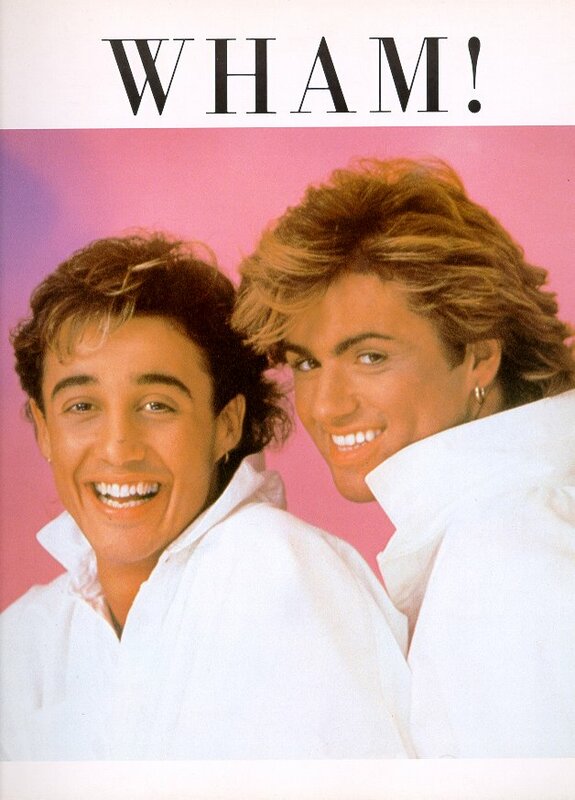 Before there was U2, there was Wham! Yes, I loved Wham! They were my favorite band in middle school – I didn’t discover U2 until freshman year of high school. Sure I loved Madonna and Tears for Fears and lots of other 80s bands, but I loved Wham! They were my obsession in middle school. I loved Andrew Ridgely, not George Michael. I know how to pick em, don’t I? My favorite Wham! song is Everything She Wants, with Freedom as a close second. This blog post is part of my A to Z April Challenge about ‘My Music’ – music I love from A to Z. Thanks for stopping by. I am also blogging the A to Z Challenge on my other blog On the Road with U2 about ‘My U2′ – what I love about U2 from A to Z.
I loved Wham! and Andrew was my favourite (mainly because we share our birthday). Very coll! Thanks for stopping by. Oh, that picture! Late 80s-early 90s George Michael was pretty hot. I think his Faith look is kind of classic, but this… yikes! There is a favorite local band of mine that does songs from folks like Pantera and Pink Floyd but the lead singer also does an awesome solo of Careless Whisper; makes me swoon EVERY TIME! We thank you so much! I am glad you enjoyed it. It was a fun month..but very very busy. Busier than I ever anticipated.